Expand your knitting horizons with this comprehensive and creative guide to the color and texture opportunities provided by yarns and stitch patterns. 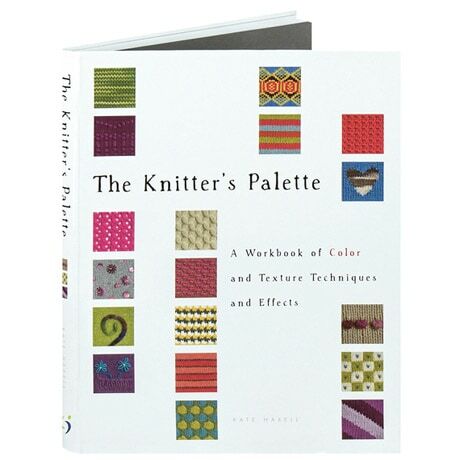 Accessible to novices but sure to offer ideas to more advanced knitters as well, this book is a library of 55 palettes, containing more than 400 swatches—shown here in full-color close-ups—and supported by 70 illustrations to show you how it's done. Each palette illustrates variations on effects, patterns, designs, or techniques, with tips on embroidery and using beads. The book also contains a precise list of the best yarns for these techniques, a glossary of abbreviations, a yarn standards and conversions chart, and a list of suppliers.